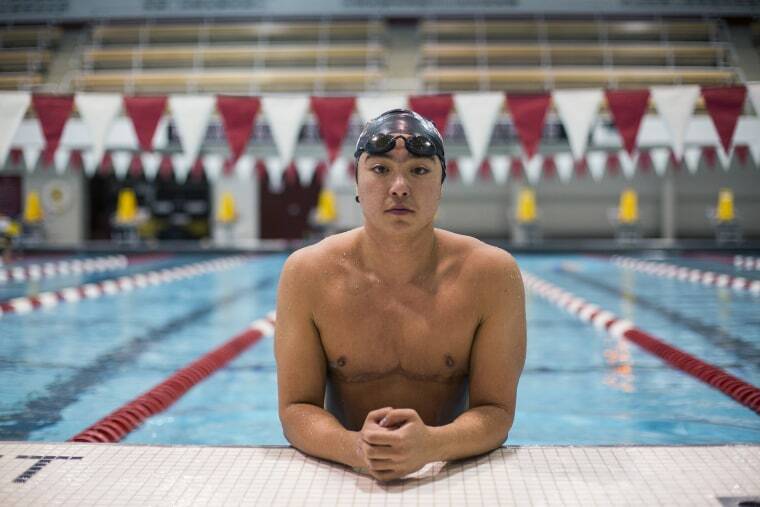 Transgender athlete Schuyler Bailar is breaking records the hard way — by being himself. 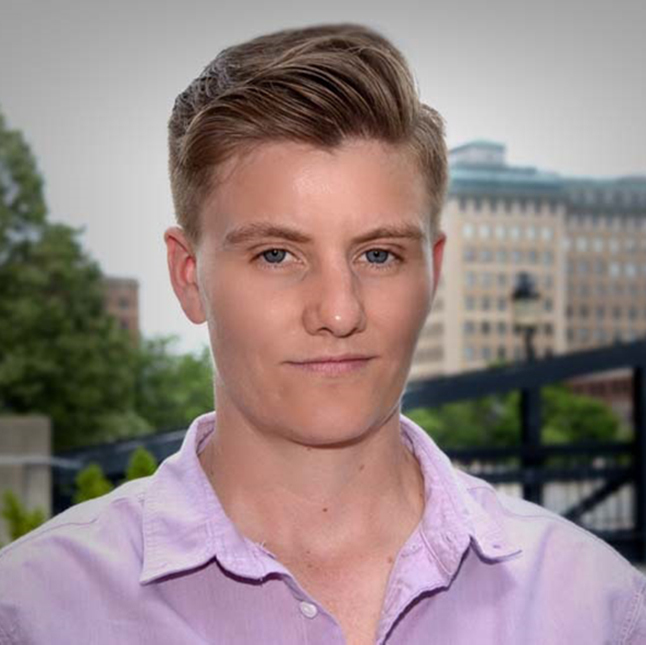 The Harvard University swimmer, who was assigned female at birth, is the first openly transgender athlete to compete in any sport on an NCAA Division 1 men’s team. Bailar, 21, began his transition shortly before starting college in 2014. He wants LGBTQ youth to know that athletes like him exist. “I mean me as a trans athlete who’s healthy, who’s happy, who’s out there, who’s succeeding, who’s doing what he loves, who gets to be who he is — I want kids to see that,” Bailar told NBC News. Bailar went to high school in Virginia, where he was a star competitor on the girl’s swim team. His junior year, he broke his back during a mountain biking trip, rendering him unable to swim. Bedridden for several months, Bailar began to reflect on his life. Before high school, he was a tomboy who wore boy’s clothes and had short hair. Classmates bullied him, so he grew his hair long and started wearing girl’s clothes. Swimming became a way for him to cope with his discomfort, he explained, and he was miserable without the comfort of the sport. “I really just want to be visible so people know this is possible, that I exist — not ‘I’ as in Schuyler but ‘I’ as in a trans athlete." Bailar's back eventually healed, and he began swimming again the middle of his junior year. But once the swim season ended, his mental health deteriorated, and he spent his senior year in a deep depression. He took a year off after he graduated to deal with his eating disorder. During the 131 days he spent in treatment, Bailar said he began to realize he was transgender. But Harvard University had already recruited him to swim for the women’s team. “I was terrified, and I thought for a while after realizing I was trans that I was going to have to quit swimming or I was going to have to ignore that I’m trans,” he said. The swimmer told the women’s coach that he is transgender and planned to start hormone therapy. She discussed it with the men’s coach, who invited him to swim for the men’s team. But competing on the men’s team scared Bailar. “Because my capabilities physically at that point were way lower than any other males, especially men who are elite athletes … I would have a lot of catching up to do,” Bailar explained. With encouragement from coaches, Bailar overcame his fear and joined the men’s team. He makes all his intervals, he said, and keeps up at practice. But he is not “near as good as I would have been on the women’s side,” he said. "There’s a lot of other kinds of winning," Bailar added. “I get to be me, and I get to contribute to the world in a lot of different ways that are not gold medals, that I think are actually valuable to me and to other people, and that I find a lot of value in." The psychology major has told his story at speaking engagements across the country. He said there are misconceptions about transgender athletes he wants to correct. “People worry that I’m doping because I take testosterone — that I have this steroidal advantage over other athletes, which is not the case,” he said. He explained that the testosterone levels of trans athletes are monitored by doctors. He noted trans female athletes (who were assigned male at birth) must be on testosterone suppressants for a year before they can compete, according to International Olympic Committee guidelines. The swimmer, who made a guest appearance on "The Ellen Show" in 2016 and was recently featured on the Olympic Channel, said he will continue telling his story. “I really just want to be visible so people know this is possible, that I exist — not ‘I’ as in Schuyler but ‘I’ as in a trans athlete,” Bailar concluded.